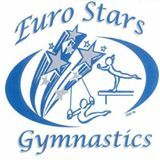 Euro Stars Gymnastics offers Skill Clinics to help gymnasts learn, perfect and refine various skills related to gymnastics. However, these are open to individuals not currently registered with Euro Stars. We are conveniently located on the border of Northville and Plymouth, MI, with easy access from M-14 and I-275. Who should attend skill clinics? Each clinic has specific pre-requisite skills. For example, someone who has a kick over may be ready to work on their back hand spring. However, someone who doesn’t have a cartwheel on the floor, should not register for the cartwheel on beam clinic. What should you expect at a gymnastics skill clinic? These are perfect for both gymnasts and non-gymnasts as well. Dancers and cheerleaders also benefit from some clinics. The schedule is flexible, so you can register for the weeks that you are able to attend. Level 2 and 3 floor clinics are available on Select Saturdays. Enrollment in In-house, pre-team or JTP is required to join this clinic. Bars clinics are offered Thursday evenings from 7:30-8:00 pm. Back handspring clinics are currently available on Monday evenings from 6:30-7:00 and Thursday evenings 7:30-8:00. A backbend and bridge kickover are required. 2/5 CURRENTLY Monday evening back handspring are full through February. We have availability on Thursdays still. This clinic is designed for gymnasts ages 5-9 yrs. It is a great opportunity for children to focus on their cartwheels with one on one attention, as well as independently working on many beneficial stations and drills. In this clinic, there will also be an emphasis on the handstand, since these two skills go hand in hand. If your child has a desire to learn or perfect the cartwheel, then this fun clinic is for you. This clinic is great for children who not only want to achieve the back walkover but also for those that are working toward a back bend or the kick over. This is an enjoyable half hour of skills and drills progressing toward the back walkover. They will receive some one on one attention as well as independently working the circuit of related skills. The back walkover clinic is offered to children ages 5 and up. Pre-requisites: Already know how to do a bridge, and are working the back bend and/or bridge kick over in class. This clinic is great for children who want to achieve their kip. This is an enjoyable half hour of skills and drills progressing toward the kip. They will receive some one on one attention as well as independently working the circuit of related drils. The back walkover clinic is offered to children ages 7 and up who have competed XCEL, Level 3 or are on our in-house team or pre-team. This clinic is designed for gymnasts ages 5-9 yrs. It is a great opportunity for children to focus on their cartwheels and Site Handstand since these two skills go hand in hand. If your child has a desire to learn or perfect the cartwheel and side handstand this fun clinic is for you. Pre-requisites: Solid cartwheel on the floor and a handstand on the floor. This clinic will focus on all things side ariel related! Athletes will benefit from working through many circuits: one geared towards progressions to achieve a side ariel. They will get to use many drills and practice areas such as the trampoline and foam pit and will receive plenty of one-on-one attention with the instructor. If your young gymnast has already mastered the back walkover, then the back handspring clinic is the place to be!Your child will work through the circuit of drills and progressive skills for the back handspring and have a wonderful time flipping with confidence into the soft resi mat. This clinic is designed for gymnasts ages 5-6 yrs. It is a great opportunity for children to focus on their Handstand with one on one attention, as well as independently working on many beneficial stations and drills. If your child has a desire to learn or perfect Handstand then this is a fun clinic for you. This clinic is designed for gymnasts ages 6 and up. It is a great opportunity for children to focus on their pullover on the bar with one on one attention, as well as independently working on many beneficial stations and drills. If your child has a desire to learn or perfect pullover on the bar then this is a fun clinic for you. This clinic will focus on all things back truck related! Athletes will benefit from working through many circuits: one geared towards progressions to achieve a back tuck. They will get to use many drills and practice areas such as the trampoline and foam pit and will receive plenty of one-on-one attention with the instructor.